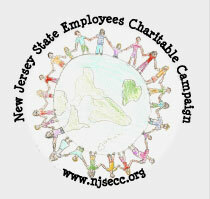 Since 2009, New Jersey Future has been included in the New Jersey State Employees Charitable Campaign. Please select our charity as a recipient using the four digit code: 6726. We are also included in several Public Employees Charitable Campaigns at the county and local level. Please refer to your code book for our charity number. If you have any questions, please contact Marianne Jann (mariannejann njfuture org) at 609-393-0008 ext. 101.